Are Elan, Speakercraft, Niles, Proficient, etc. In Play Again? Melrose PLC, owner of Nortek, including Nortek Security & Control, is openly talking to U.K. media about the likelihood of selling off Nortek – saying, in essence, their work is done, the turnaround is complete. This being the case, their thinking is that it is time to harvest their crop by selling off the company to reap their reward of profits. Melrose, and for that matter the U.K. media, continually refer to Nortek as a “US air conditioning manufacturer.” Technology products don’t really register as part of the whole picture, something Strata-gee pointed out at the time that Melrose acquired the company.Melrose’s investments tend to be in heavy industry companies, and it was Nortek’s larger industrial and residential air management systems division that most interested them. Melrose is an investment company that is known as a “fixer,” meaning they buy troubled properties, fix them up, and then flip them to a new buyer for a higher price. The company promotes its “buy, improve, sell” strategy and is generally seen as quite successful with past investments. After acquiring Nortek, Melrose made many changes, fundamentally restructuring the company. Many of these changes were behind the scenes. However, some were quite visible, such as their decision to place Core Brands – holding company of such brands as Speakercraft, Niles, Elan, Furman, Gefen, Panamax, Proficient, Sunfire, Xantech – under the control of what was once Linear Corporation, renamed Nortek Security & Control. NSC was home of 2Gig, a security systems provider that was a very successful part of the Nortek overall portfolio. Placing the troubled Core Brands under NSC’s control, meant that these brands would likely take a back seat to their bigger more successful colleagues in Nortek Security. In any event, Melrose was never planning to own Nortek forever. In fact, earlier this year, Melrose put Ergotron, another of the Nortek family, up for sale – but was forced to withdraw it due to that division’s CEO falling ill. The company was on track to clear $800 million from that sale – and it clearly indicated their desire to begin parceling out their properties after holding the company for just two years. 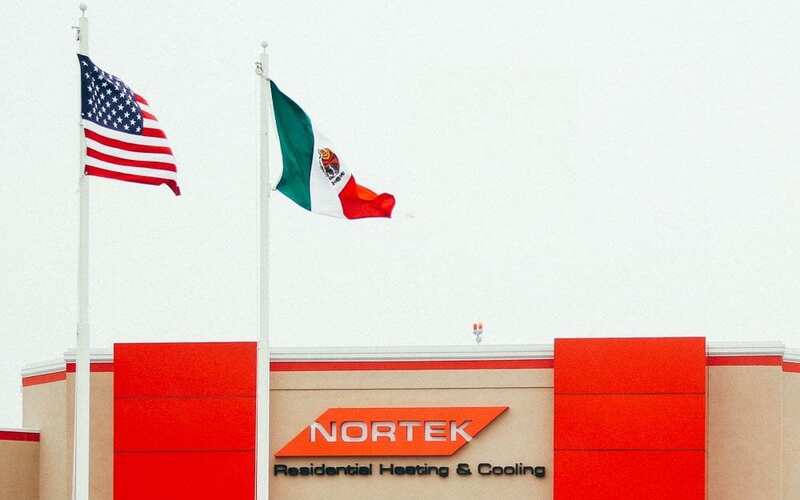 Now Melrose executives are openly discussing the possibility of a sale of some or all of Nortek soon – perhaps as soon as early next year, only a few months from now. This discussion is part of an overall strategy at Melrose to sell multiple companies from their portfolio to generate as much as £6 billion ($7.8 billion). Melrose paid $2.8 billion for Nortek two years ago. Melrose averages a gain of 2.7 times their purchase price when they dispose of their properties. Depending on how much the company received for Ergotron, which it still intends to sell separately, this Nortek sale could approach that level of return.